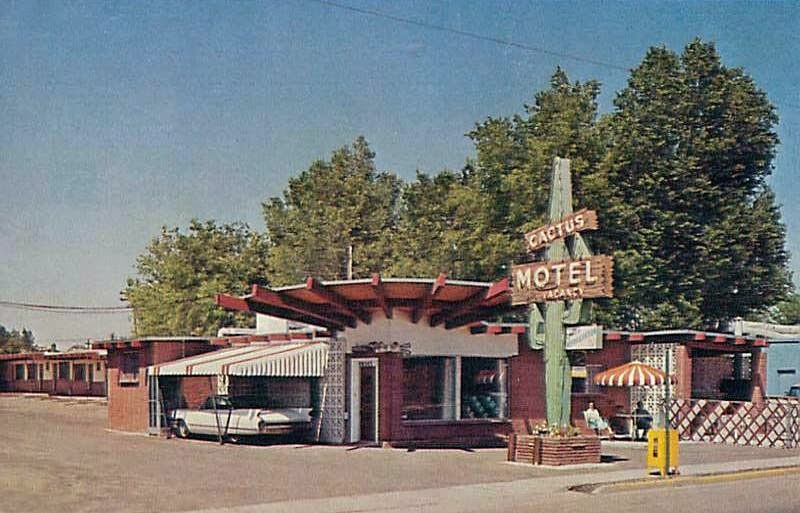 This is a view of the Cactus Motel at 10574 East Colfax Avenue in Aurora, Colorado. The building was constructed around 1965 with an office near the street and a single row of rooms that extended towards the back with the car port adjacent to the office. The building was red brick and had green trim. A rounded decorative overhang was above the front office and had seven beams extending beyond the roof line. There was a satellite dish attached to the roof of the front office. Signs on the cactus read "Cactus Motel" "Vacancy" and "Weekly Kitchens", and a neon sign in the shape of a tall saguaro cactus was in front of the building on Colfax Avenue. 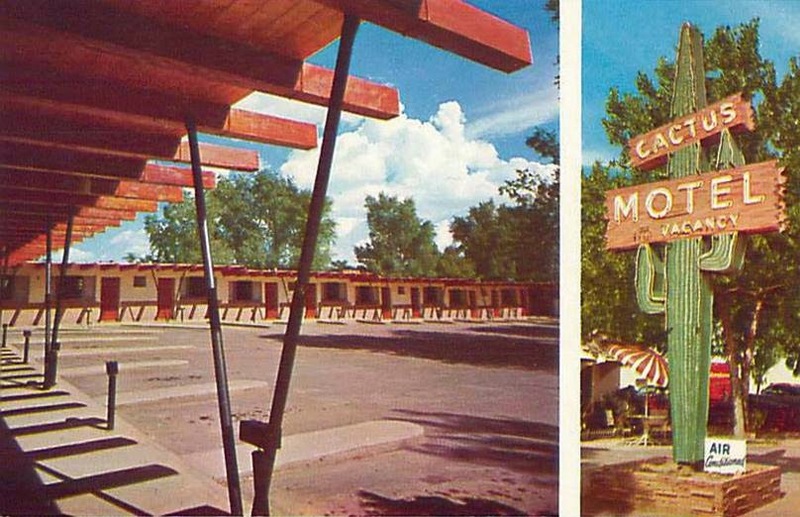 The Cactus Motel sign was an iconic part of the strip, one of the last classic signs to fall to the times. Gone, too, is the aging motel that has been razed to make way for new businesses as growth of the Anschutz and Fitzsimons campuses spread down Colfax.